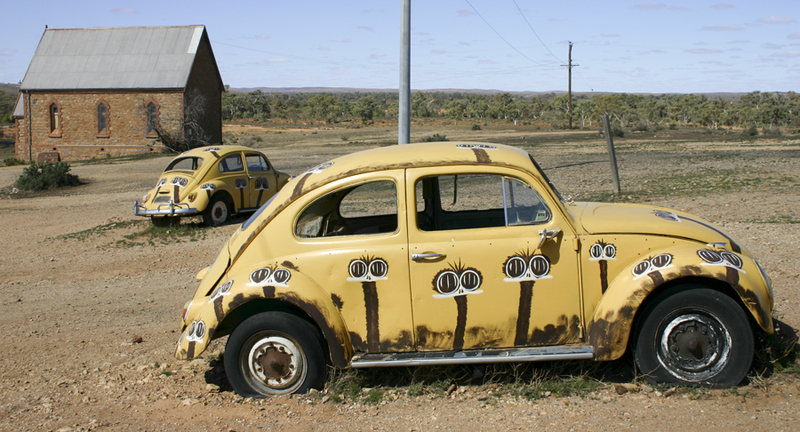 Bugs, Siverton NSW, home of Mad Max. 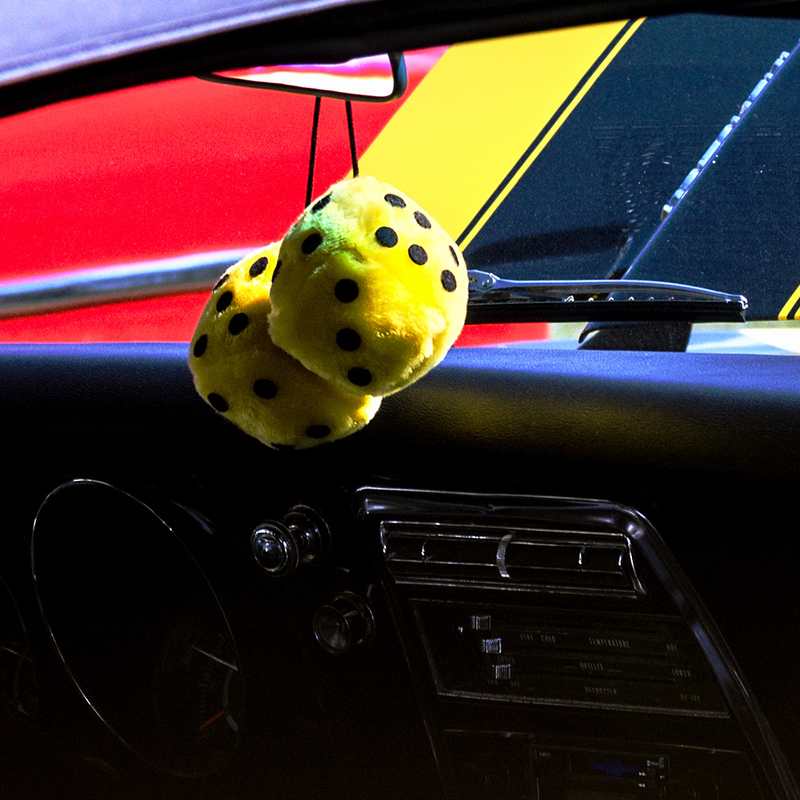 Oddball cars make fun photographs often. And these are fun looking cars. The photograph is a good very good idea with the two cars. That's a good start. But there are some troubles here straight off. The sun is high noon and harsh, and it shows by burning out the yellow. With no side lighting, the whole photograph loses dimension. Try to imagine this at a couple hours after sunrise? One reason to avoid harsh sun is that you lose dimensionality. And here, that really hurts. Finally, the photograph feels too tight for no good reason. The barn is squeezed to the left edge and the nose of the front car is cut off. The latter might be something to do if it makes the picture better, but I don't see that it does. I think this would work more effectively with a much wider angle coming in more askew to the f/g car, but leaving breathing room. Good idea, fun subject, not quite the right time of day. This sits regularly in the local clinic's parking lot; medical clinic, I add. The conclusions you draw are your own! Always intriguing when the photog invites you to draw your own conclusions. Always revealing when the viewer can't tell the difference between an invitation and a statement. 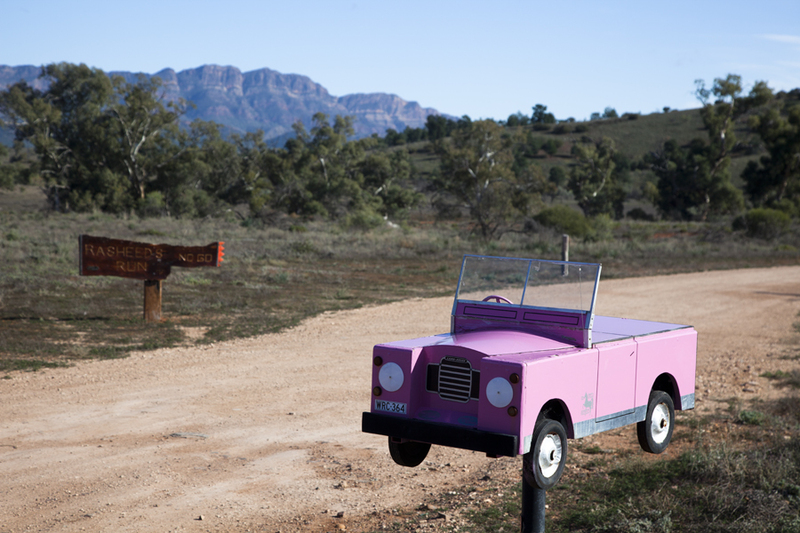 Pink, from the Flinders Ranges, South Australia. You see a post box like that and there is only one place you can be - Australia! I like the humour in that shot; the mountains make me think eastern USA but the rest of it, Priscilla, Queen of the Desert. This ambiguity has to stop; it's driving me crazy! Is track street? I think this one needs a tune up, and maybe a paint job. Available real cheap! For all you vehicle buffs, I recommend checking out the website http://spraguetrucks.com/ by my friend Jon Sachs. Good shots of lots of old farm trucks, which he is making into a book. If you are so inclined, I also urge you to support his Kickstarter program, which as of today (Feb. 17, 2013) has twelve days left to meet its quota. All info is on the site or linked from it. 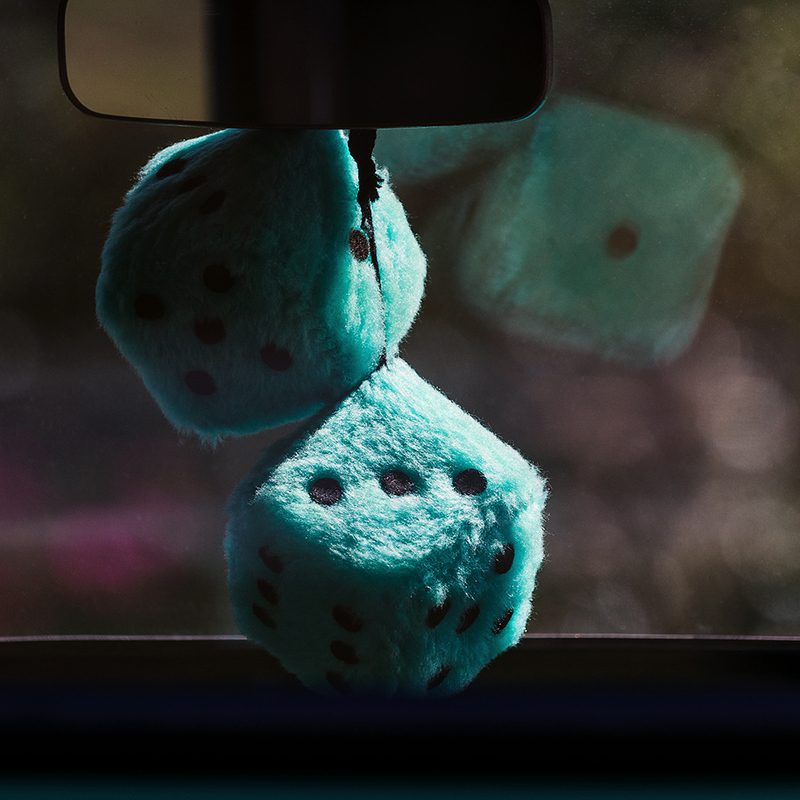 I've always been a sucker for pictures of fuzzy dice dangling from rear view mirrors.